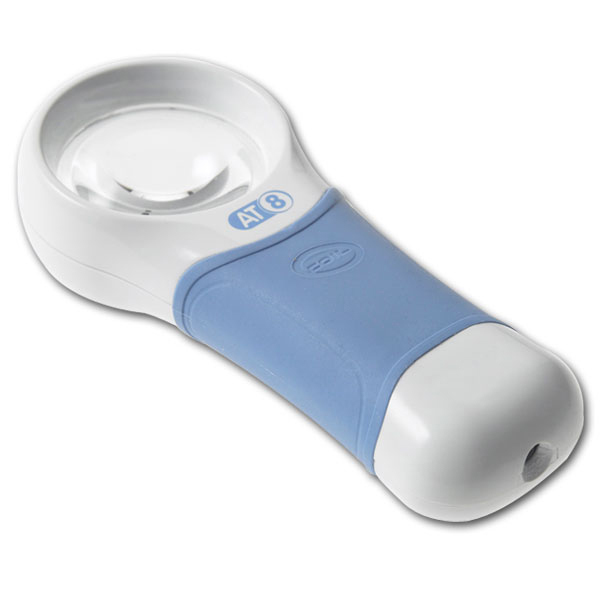 The Coil Auto Touch provides revolutionary design for LED pocket magnifiers. The LED light is automatically activated by picking up the magnifier and holding it in your hand, and turned off upon release. Touch control makes the unit extremely easy to use by people with weak hands or poor grip. Unit is completely rechargeable, eliminating the need to change batteries ever again. LED light also never has to be replaced, making these magnifiers completely maintenance free. Units come with the battery recharger and attractive hard cover case.